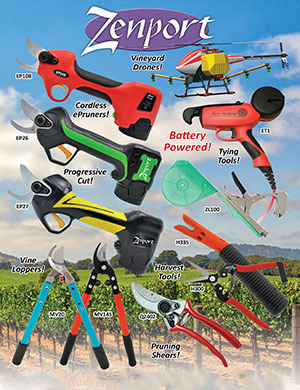 Zenport Shears H302S long, serrated edge, stainless steel blades to resist rust and corrosion, making them excellent for vineyard grape harvesting, thinning and floral applications. Long handles, with comfortable, non-slip grips, provide excellent control and leverage. Spring loaded action automatically opens blades after each cut; blades lock closed when not in use. Overall length of 7.25-inches (184mm).